My life is somewhat nomadic. I live week about between the Woolshed (Oeta Homestead) and Wellington. This map shows the relative locations. That means that I am away from home between 5-7 days at a time and living at my other home. This is how I have been transporting my painting gear for the last few years. Actually, this is an improvement because for most of the time I was using an old cardboard banana box. It is a pain to carry, to find anything in and where-ever I leave it it looks messy. 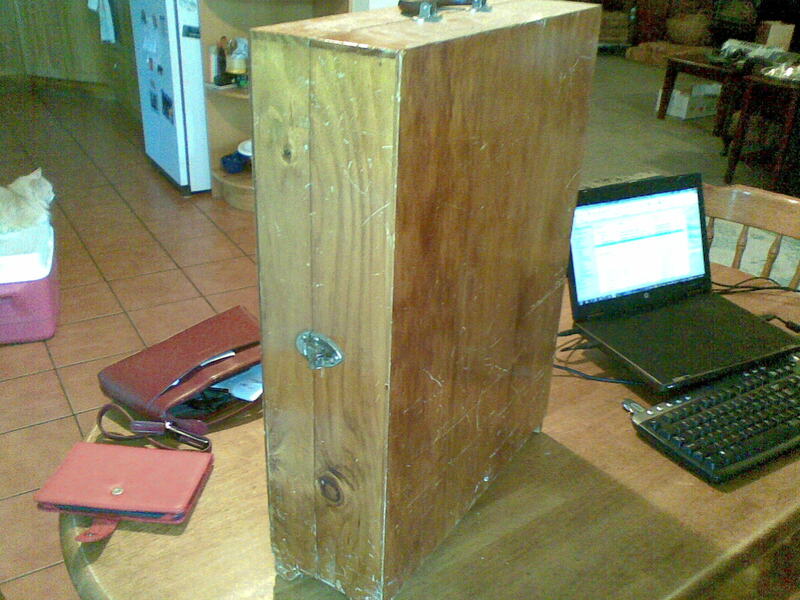 Today I acquired this – an old Sewing Box. This will be my new retro Paint Transportation Module. I was amazed – it is exactly what I needed. Takes up bugger all space, has a handle, little legs and even better it was full of old wooden cotton reels. I use these to mount my figures on for painting. 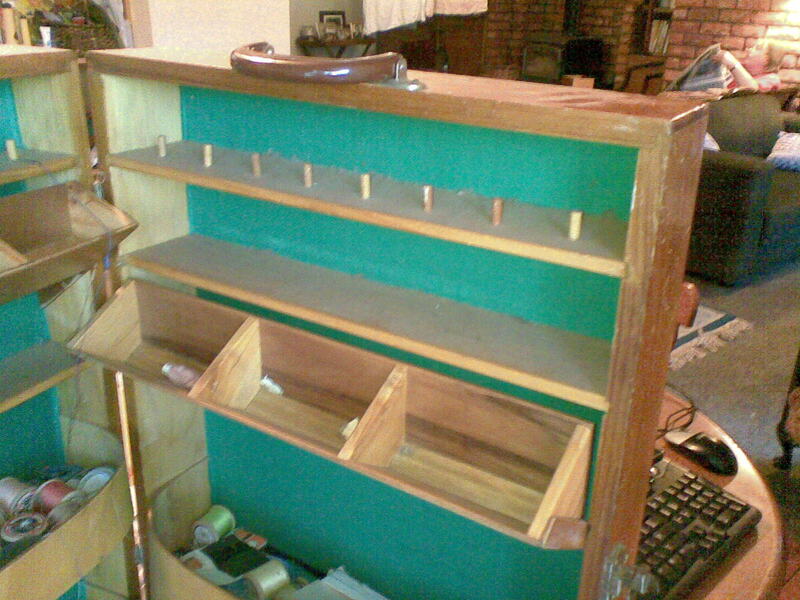 Not sure what I will keep in the fold out bits but I am sure I will think of something. 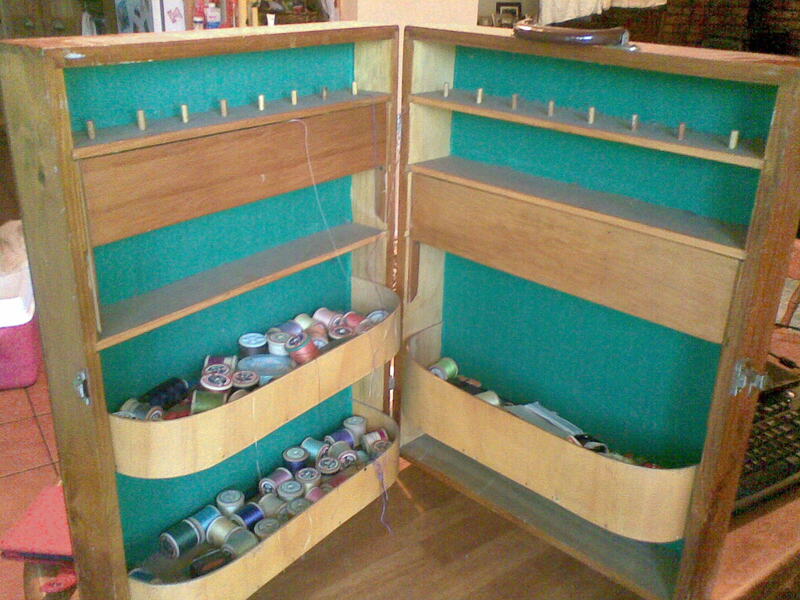 A quick sand and re-varnish will have this old Sewing Kit – sorry – Paint Transportation Module – looking tip top. I presume you’ll have to have ‘this way up’ signs on it, or else your paint pots will be all over the show if you lie it down in the boot! 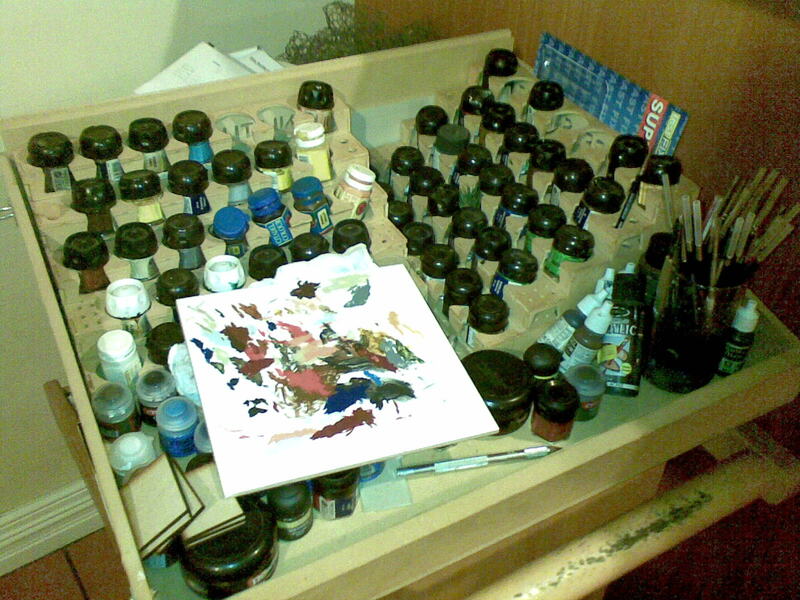 Those fold out compartments, if you remove the dividers, would be great for brushes. I have a station wagon Roly so lying it down wont be a problem. Have some straps to hold it upright int he back as well. If I have to use the other car it can sit upright behind the front seats.